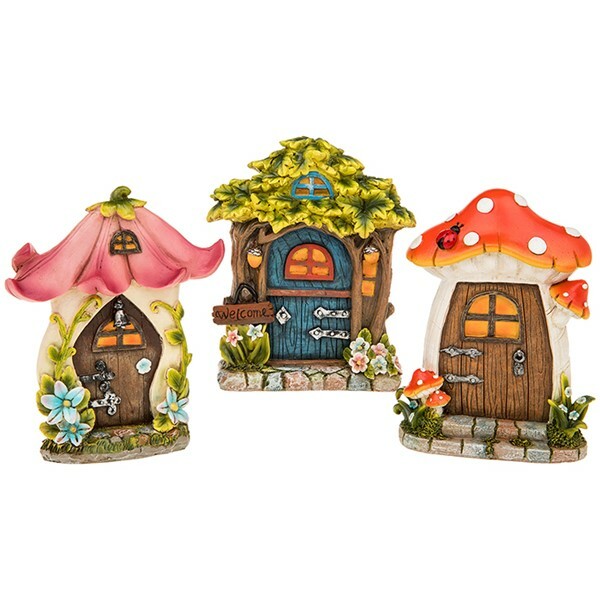 3 Fairy doors in different styles. 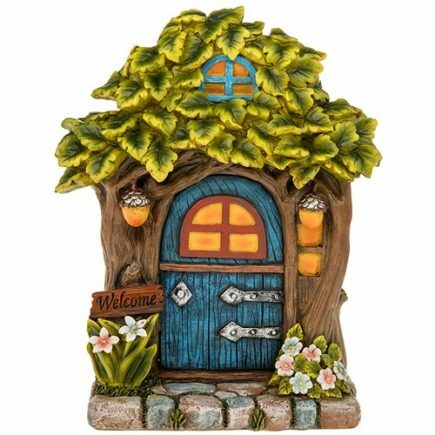 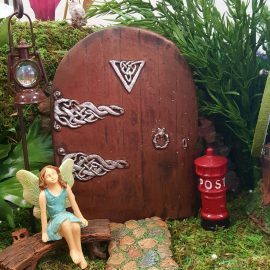 1.Fairy door with leaf roof,blue front door,twig frame,decorated with flower.stone step and a welcome sign. 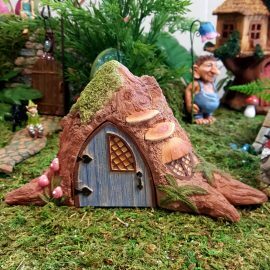 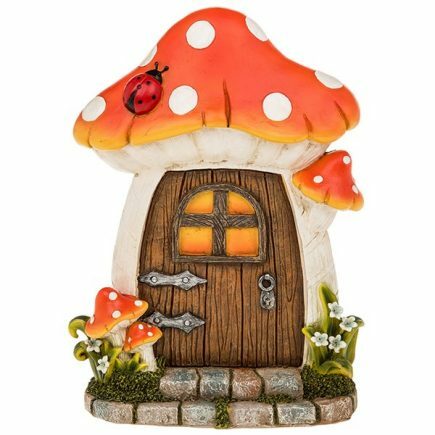 2.Fairy door shaped as a mushroom with orange and white spots roof,wooden door decorated with mushrooms and flowers,stone step. 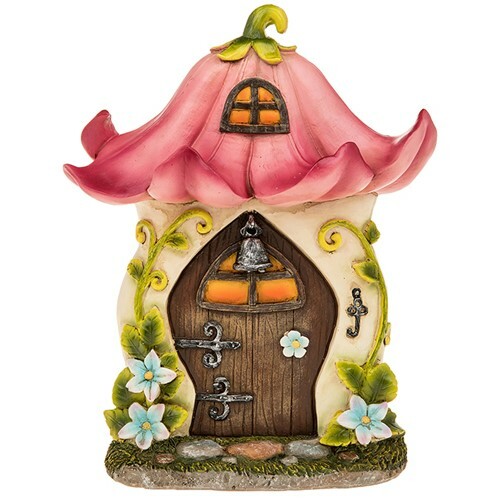 3.Fairy door in the shape of a pink flower roof,wooden front door,decorated with flowers.